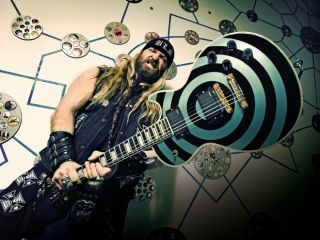 Back in January, we reported that Zakk Wylde had teamed up with William Shatner to record a cover of Black Sabbath classic 'Iron Man' and now you can stream the track right here. TG caught up with Zakk when he featured on the cover of Total Guitar issue 214 earlier this year and we used the opportunity to ask about working with Shatner. "[It was] amazing," Wylde told TG back in April. "I'm in some elite company right now. How many people can say that they've jammed with the Prince Of Daftness and one of the greatest Starfleet commanders of all time? "He was a really cool guy. We were talking to him on the day and I told him that I remember being 11 years old and going to a Star Trek convention with my dad in the city. "I mean, the guy's a f***ing legend, just like Ozzy. I've been blessed, in that all my heroes that I've met have been super cool. Or I've just never caught them on a bad day." Stream the track below and hear Zakk doing his best Ozzy impression in the background… It's pretty good! William Shatner's new album 'Seeking Major Tom' (featuring Zakk Wylde, Brian May and Peter Frampton) is released on 17 October.